To what does the name of my blog point? 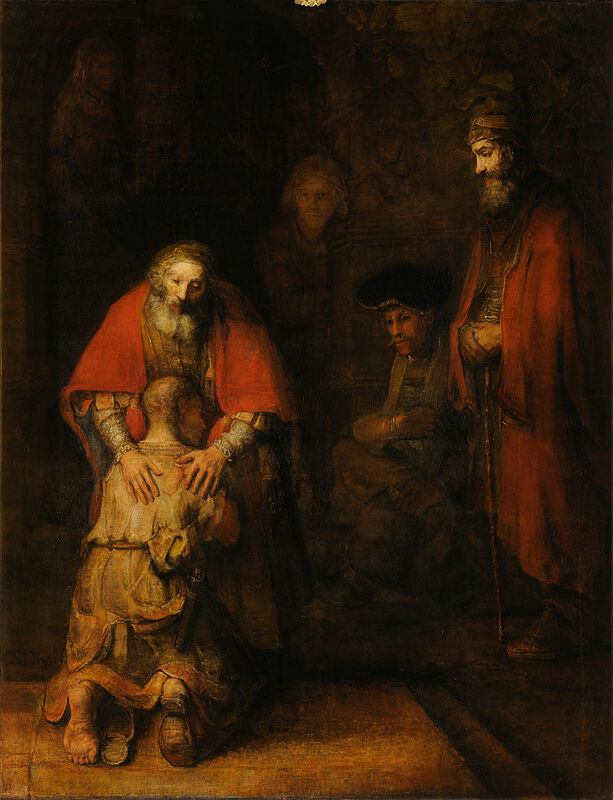 It points to a desire of seeing “prodigal thoughts” pointed towards truth. In some areas of perspective and practice, I suppose we have swerved a little off track at times. By no means do I have it all figured out, nor am I called to be the savior of faithful theology. If I held to that, it would be a prodigal thought. Jesus did say that knowing truth will set us free (John 8:32). And I can only hope that as we discuss theological perspectives and practices together, it will help bring prodigal thoughts home, setting us free to be all that God has designed us to be. Loved your explanation of Prodigal Thought means. Good luck (or God bless) on the new domain. Hello, I’ve been a subscriber for awhile. I am unable to hit the email button to email you b/c of the way my Mac has been set up…. I was just wondering if you have or could point me to some good posts that explain a scriptural basis for prophets and others in the body w/ prophetic gifts not moving in 100% accuracy. I’ve previously read some things on the topic that satisfied me but seem unable to find what I’m looking for when it comes to persuading friends who are more hesitant to enter the charismatic realm. To them, someone is either false or perfect. For instance, I know Paul is sure that he will not see some folks again, yet he does. And I think there are some times when OT prophet’s words did not actually happen quite how they foretold (times apart from Jonah that is). Thanks for the comment. This is no doubt a difficult issue to walk through. What I would say is that, in our world, there is a great desire for dichotomising everything into either right or wrong, true or false. While I do believe in truth and error very much so, even with the prophetic, I would always remind people that prophecy is not ultimately about predicting that something will take place in the future. The underlying point of prophecy is to speak forth the heart of God. Therefore, it could be a simple statement God has made clear that needs to be heard, such as – ‘You [speaking to a specific person or even group] are a mountain that cannot be moved.’ That statement can provide great strength into a specific situation as God stirs a person to speak those words forth. Simple, yet powerful, as God speaks into the context that needs to hear it. So, I would say true prophecy is always accurate and correct. But we have to be careful to only view it from the ‘prediction’ side of did-this-come-true-or-not-come-true. I also believe that the entire body of Christ now has a prophetic capability, meaning we can all prophecy because we are all indwelt and empowered by the Spirit of prophecy. I believe this becomes clear in places like Acts 2 and 1 Cor 14. Also, while some are specifically gifted in this ministry, many are still learning how to properly hear the voice of the Father and when and if such should be communicated as prophecy – spoken to a person or congregation, or whether it was God specifically highlighting something for our own personal edification and strength. Thus, noting that we have a ‘company of prophets’ within the body of Christ, though not everyone is specifically a prophet or gifted in prophecy, we are a people learning to communicate such words from God. Many people like to point back to a few passages in Deut to underline that if someone missed it and the prophecy didn’t come true, then they were to be immediately stoned. So it’s right-or-wrong, true-or-false. But when I read Deut 13:1-5 or 18:15-22, what seems to be coming through quite clear is that these false prophets are looking to deceptively lead people astray after other gods. This is much different than a true follower of Jesus learning to hear from God and communicate that in the midst of the congregation. Of course, that person needs to be submitted to the leadership as they desire the best for the local church. But I think there is quite a difference between what is being described in Deut 13 & 18 and what the NT presents with regards to the whole body of Christ being able to prophecy and grow in that gift. If you want more of my thoughts, click on the Categories drop-down menu on the right side of my blog. Then scroll down to prophecy. There should be quite a few articles that hopefully will help. I agree with attempting to clarify thoughts that have led people astray and have profaned the message. Best of wishes.